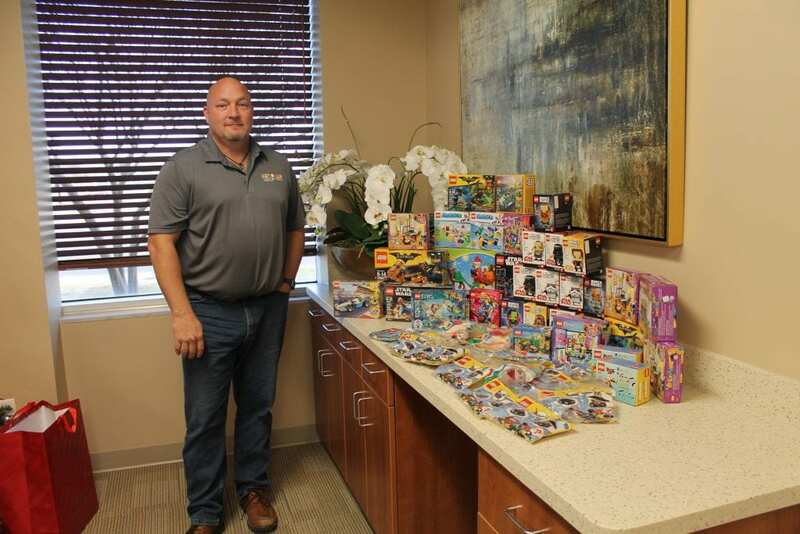 Jim Snyder with “Legos for Littles” surprised us with a wonderful Lego donation today! “Legos for Littles is all about providing LEGO sets to kids that otherwise may never get the joy of LEGO.” said Snyder. Legos for Littles also gives legos to many other local organizations. We are grateful to be among the recipients! Jim feels that when children are at the hospital, they can get bored. Sometimes a lego set can be “just what the doctor ordered” to provide entertainment for a child while they are healing. Thank you Jim and to all of the donors that made this special donation possible. Next post: Little girl makes a HUGE impact.